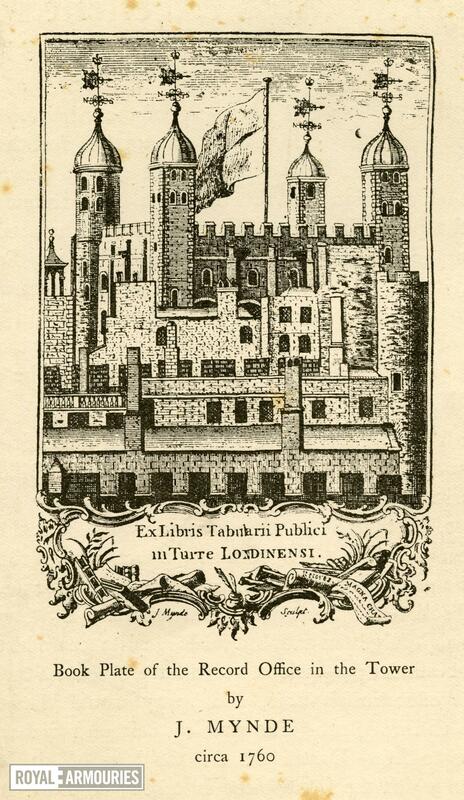 a. Engraved bookplate, illustrated by an architectural design based on a view of the Tower of London from the North-West, inscribed, 'Ex Libris Tabularis Publici in Turre Londinensi'. Signed 'J. Mynde sculpt.'. sculp. 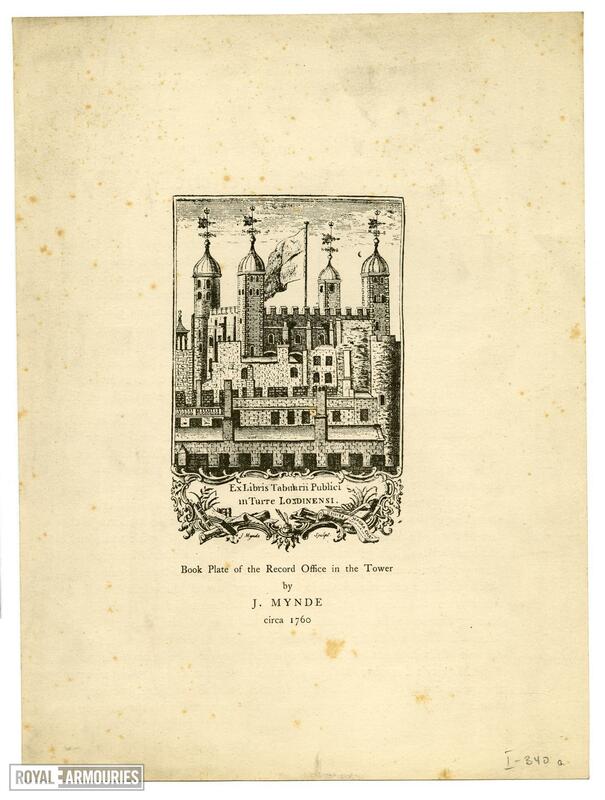 '; published 'J. 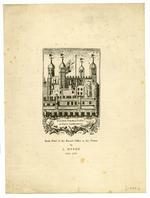 Stratford, 112 Holborn Hill, Aug. 2, 1806.
b. 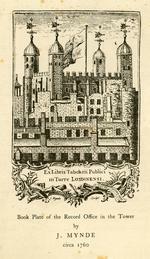 A pull from the block of the same print used to illustrate the 'The Armouries of the Tower of London' (London, 1917).